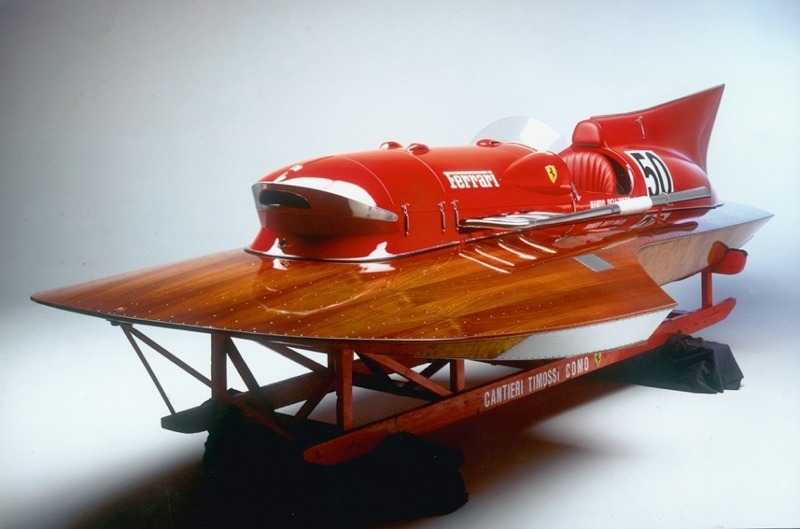 A 1953 Ferrari-engined hydroplane racing boat Arno XI will be featured at the RM Auctions Monaco 2012 sale, scheduled for May 11-12 at the Grimaldi Forum in Monaco. The two-day, biennial RM Monaco sale is staged during the same weekend as the Monaco Historic Grand Prix. Arno XI was the brainchild of Achille Castoldi, who, wanting to establish a world water speed record, set about developing the ultimate powerboat. During 1952 and 1953, Mr. Castoldi, a friend of Ferrari Grand Prix drivers Alberto Ascari and Luigi Villoresi, succeeded in convincing Enzo Ferrari to provide knowledge and technical assistance to develop the boat. The result was horsepower provided by a 12-cylinder, 4,500 cc V12 Ferrari engine, the same as that installed in the Type 375 Grand Prix car that gave José Froilán González Ferrari’s first ever World Championship Grand Prix Victory at Silverstone in 1951, with the only addition being twin superchargers that developed in excess of 502bhp at 6000rpm. 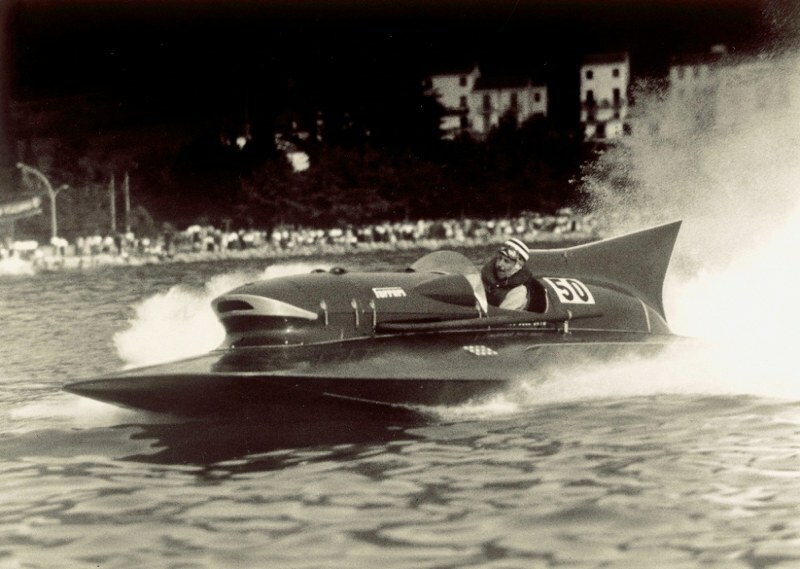 On 15th October, 1953, Arno XI achieved 241.70 km/h (150.19 mph) on Lake Iseo in northern Italy, establishing a world speed record for an 800kg boat. The record still stands today. When Castoldi was finished with Arno XI, it was sold to Nando dell’Orto, who went on to race it with great success for more than 10 years, securing numerous wins. The boat went through various aerodynamic improvements during that time, including a modified nose and the addition of a fin, finishing its competitive racing career in 1960 with a European championship victory and numerous fastest laps, many of which still exist. The current owner acquired the racing boat over 20 years ago, restoring it to concours condition. Arno XI has been in the water many times since and is not only an impressive sight when seen in action but also sounds magnificent. Well-documented, its sale is accompanied by an extensive history file including numerous period photographs and hand-written notes from the great Ferrari engineer, Colombo, during tests on Lake Iseo and during bench testing at Ferrari’s Maranello factory. It is estimated to achieve between €1.000.000 to €1.500.000 when it crosses the auction podium in May. “We are thrilled to be offering the historic Arno XI at our Monaco sale. This awe-inspiring racing boat has beauty, history, provenance and performance; it simply ticks every box for any serious collector,” says Peter Wallman, specialist at RM Europe. “It’s an exceptional piece of history, made even more famous by the countless models one sees of it in important collectors’ libraries and is likely to appeal to serious car collectors as much as it will to traditional boat collectors,” continued Wallman. For more information, visit www.rmauctions.com/monaco. Wonder if it was the 2-liter V-12, or a larger displacement engine. Can’t remember those data anymore. What a beautiful piece of design and construction. Whoops! I stand corrected: It was 4.5L. Sweet! fabulous stuff! I remember watching H Planes at Snowdens Beach [Adelaide,Sth. Australia] and fastest ev er then was a white beauty named “miss dianne”. s time,it was driven by a Lady of the TIMES extremely well …MISS DIANNE !!!! I”M SURE SOMEONE OUT THERE CAN SET ME RIGHT ON THIS??? aka ADELAIDE SPEEDBOAT CLUB ???!! I saw this Ferrari powerboat at my friend Jean-Claude Bajol’s at Toulouse in October 2008. It was in his barn along with several interesting cars such as LWB Ferrari 250 California and 3 or 4 Maserati Ghiblis and several others of interest. I heard that Jean-Claude dropped off the perch last July but too late to attned his funeral. I imagine that his brother Jacques is selling various ex Jean-Claude collection. Anyone know where is his grave?